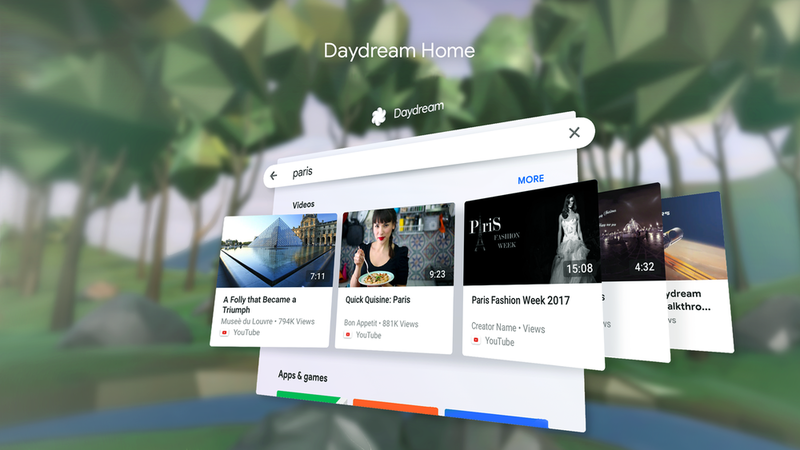 Daydream Home is the central interface of Google’s mobile virtual reality platform. It’s a rich navigation and content discovery hub where users can browse, search and engage with VR experiences. As a founding designer on the Daydream team, I helped established the look and feel of Google’s virtual reality platform and guided the continuous evolution of the user experience. I designed and built key products like Search, Welcome and Store. We developed a visual language for virtual reality based on Google’s Material design system, extending the metaphor into three dimensions. I developed standards for type, color, motion and layout, collaborating with research and engineering to implement a clean, lightweight interface for mobile VR. I developed a grid system for VR UIs and accompanying type family to establish a standardized template for VR UI’s, aggregating insights from prototypes and research into clear design guidelines. 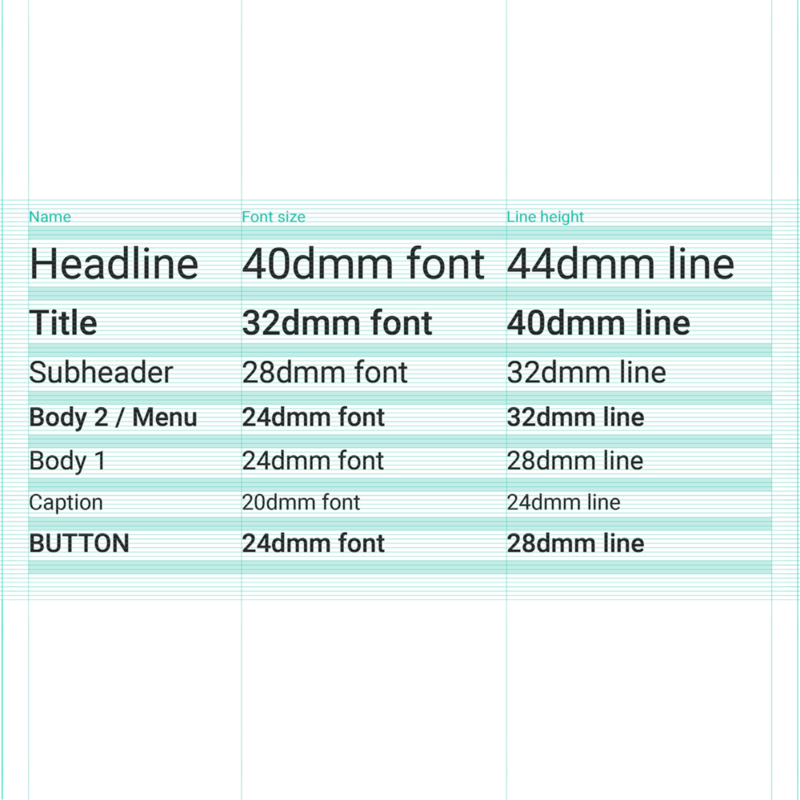 The Daydream baseline grid enables consistent sizing and spacing of elements across multiple UIs. Working with perception research, I applied a 12 column grid, scaled to fill the users visual focus and with a slight vertical offset for improved neck comfort. 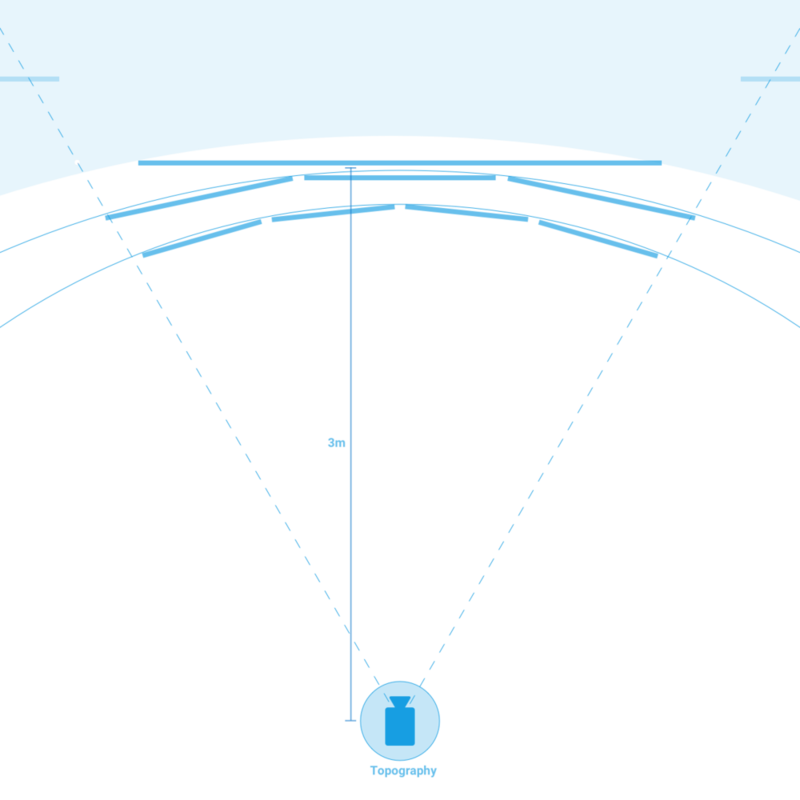 The topographic layout informs the arrangement of interface in 3D space. UI elements that are focal points are set 3m away from the viewer of visual comfort while objects on the periphery may be further or closer. The Daydream type system is optimized for virtual reality displays to be legible at any viewing distance. We established a 24dmm body text size as a comfortable reading standard to set the relative scale of the heading, title, caption and button text. I led the design for the Welcome experience, from storyboarding the narrative journey to prototyping key parts of the tutorial. My work focused on playfully introducing users to Daydream and intuitively teaching them how to interact in virtual reality using the Daydream Controller. I designed an extensible VR Search platform that we could gradually scale, adding new content from the Play Store, Youtube and other web sources as the engineering backend was developed. A key components of the search experience is the rich, dynamic suggestion UI that helps reduce the amount of typing the user needs to do by allowing them to select popular key words after entering just a few letters. The results page is designed to be highly browsable to enable users to continue discovering new content based on their query, making the search experience more like filtering results than direct navigation. Daydream Home is cross-platform. Users can browse and find content either through through VR headset or on their mobile phones, making it easier to engage with VR from anywhere. I lead the design for the content discovery experience on mobile in the parallel to the VR experience, maintaining consistency across platforms.